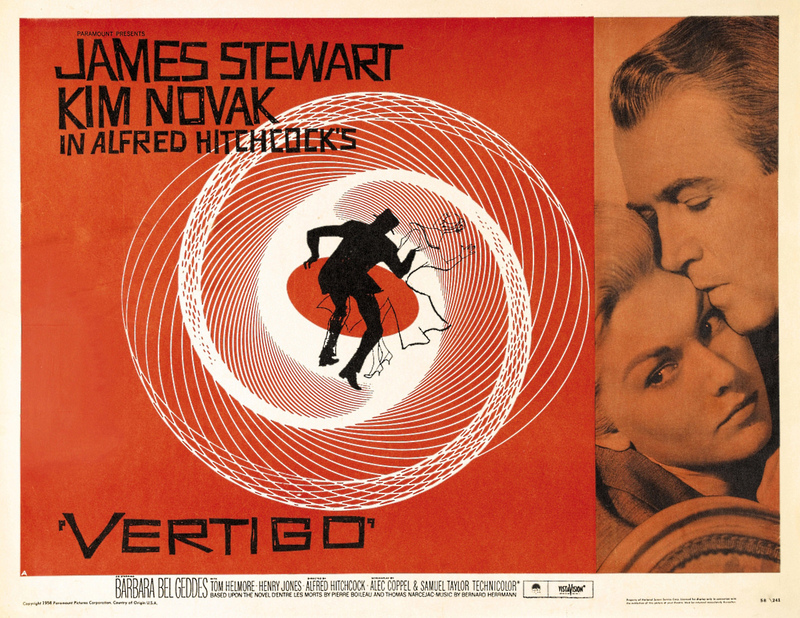 In Vertigo, a film regarded by the British Film Institute as the Greatest Film of All Time, director Alfred Hitchcock lays out a love story in which the lovers are frustratingly never on the same page, and sometimes apparently not even in the same century together. The film’s storytelling backbone is my personal choice for the greatest film score of all time (a score which, to my chagrin, was ripped off in the overrated recent Oscar winner The Artist, which owes most of the dramatic impact of its climax to the several-minute-long excerpt of Bernard Hermman’s brilliant work). One central theme in the film is a woman who is willing to do anything, including change her whole self, for the love of a man. Kim Novak plays Madeleine, a woman we think throughout most of the film to be married to an old college friend of Scottie (played by Jimmy Stewart). They fall passionately in love with each other. After Scottie sees what he believes to be Madeleine falling to her death, he becomes obsessed with her and starts seeing her everywhere. Eventually he sees in the street a woman, Judy, bearing Madeleine’s resemblance (and also played by Novak, but, to her great acting credit, with an entirely different persona). He follows her back up to her apartment and after terrifying her, demands that she go to dinner with him. She reluctantly agrees, and they begin a relationship as Scottie spirals more and more downward in his obsession with creating Judy in the image of Madeleine, buying clothes and making her change her hair. Judy, all this time, is miserable about Scottie’s obsession but goes along with it to secure his love for her. The last act of Vertigo depends on the believabiltiy of a woman letting a male stranger into her apartment and offering lots of personal information about herself. Of course, the truth is that Judy is Madeleine, or Madeleine is Judy, and when you know what really happened (that the woman who Scottie saw fall to her death was the college’s friend’s actual wife, and Kim Novak’s character was simply a pawn in that scheme), it becomes entirely believable that she would know Scottie is not a stranger. But perhaps today, Vertigo would be entirely thrown off by that scene in Judy’s apartment — audiences today would not accept that she would let him in without knowing the backstory first. As I watched the film most recently, I found myself wrestling with whether or not Madeleine/Judy is a sympathetic character. No matter how much I told myself that she is an accomplice to murder, and that she has been lying the whole time, I could not even for a second think of her in a negative light. Would it be different if the genders were swapped? Would it be different if she were less beautiful? Does Hitchcock’s obsessive camera make Novak impossible to see in a negative light simply? Alfred Hitchcock was famous for obsessing over his leading actresses. In Vertigo, the director finds a way of exploring male-to-female obsession, as if working out one of his own demons. If the film’s conclusions match his own, the master of suspense found no peace in these obsessions, nor a happy ending. Audiences today can take away, in addition to the superb acting, beautiful score, and complex themes, gender questions that reveal societal demons, and debate how things, if at all, have changed. Further reading: “Femininity By Design” by Tania Modleski. Vertigo caused by problems with the inner ear or vestibular system, which is composed of the semicircular canals, the vestibule (utricle and saccule), and the vestibular nerve is called “peripheral”, “otologic” or “vestibular” vertigo.–‘..